It should be noted that Alan Hale owns a bar. Last week Alan Hale voted yes on Montana’s HB 544 , a bill that would require a doctor performing an abortion to “screen” the abortion seeker an hour beforehand to make certain they aren’t being “coerced” into having a legal medical procedure. Hale has also voted yes on bills that would require an ultrasound prior to an abortion and change the definition of homicide to include fetuses, all within the last few months. To conclude, Representative Alan Hale of Montana, whose website is here, whose office phone number is 406-461-9132, believes that the laws that make it illegal to operate a vehicle while intoxicated are MORE intrusive than laws designed to limit people’s access to a legal medical procedure. If you decide to call Representative Alan Hale, please be civil, and try to make as many Gilligan’s Island jokes as you can. 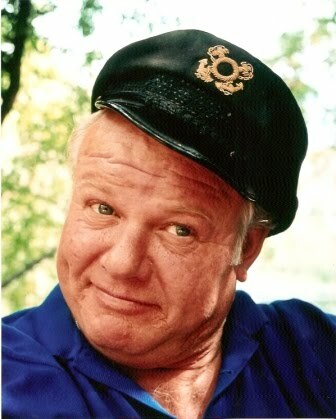 Alan Hale Jr. dressed as his character from Gilligan's Island, captain's hat jauntily cocked to one side. This was written by Garland Grey. Posted on Thursday, March 31, 2011, at 11:13 am. Filed under Uncategorized. Tagged Alan Hale, Conflicts of Interest, DUI Laws, Garland Grey, Naked Greed. Bookmark the permalink. Follow comments here with the RSS feed. Both comments and trackbacks are currently closed. When you say “please be civil,” are you being sincere? It’s the web, I can’t tell any more. That particular “please be civil” was both the product of my concern for the way Reproductive Rights activism is perceived and a set up for a Gilligan’s Island reference. Because, seriously, CONFLICT OF INTEREST MUCH? What does Hale think about drinking while you’re pregnant? i am in complete agreement with the senator, the dui laws have gotten rediculously out of control! What if the drunk driver is pregnant? What if she didn’t get drunk at HIS bar, but rather at a competitor’s bar? What if the “unborn baby” is a female? Does it get rights, or do only male fetuses get rights?